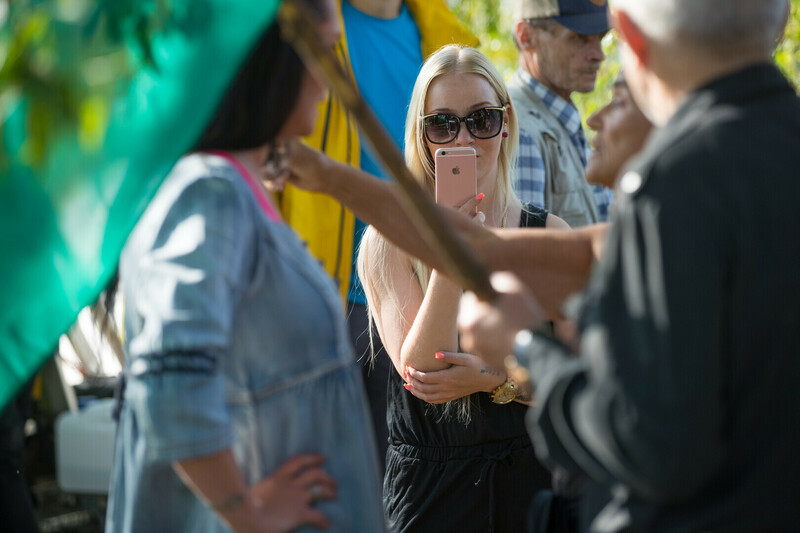 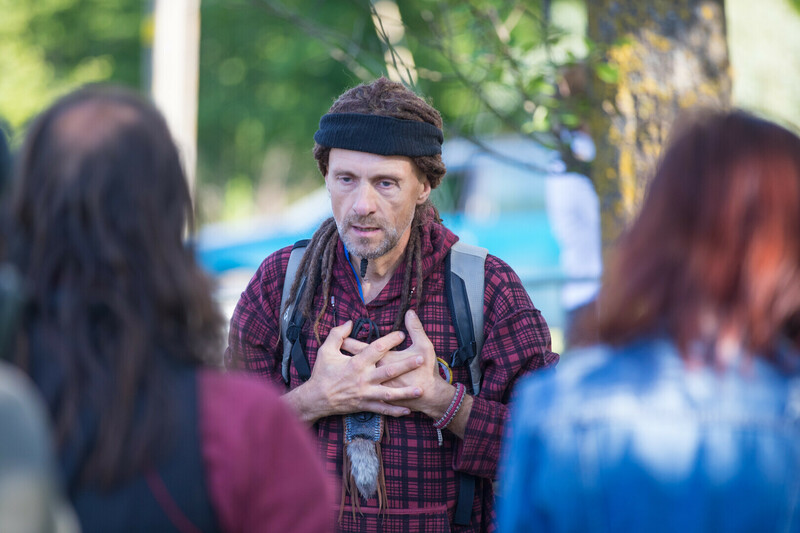 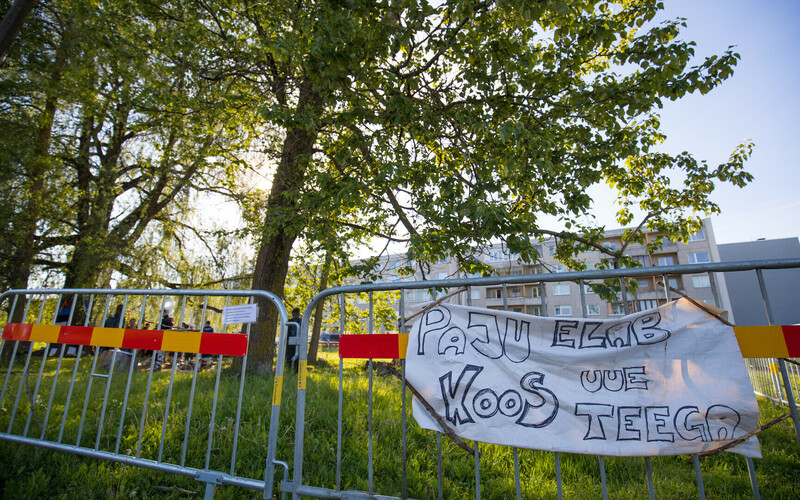 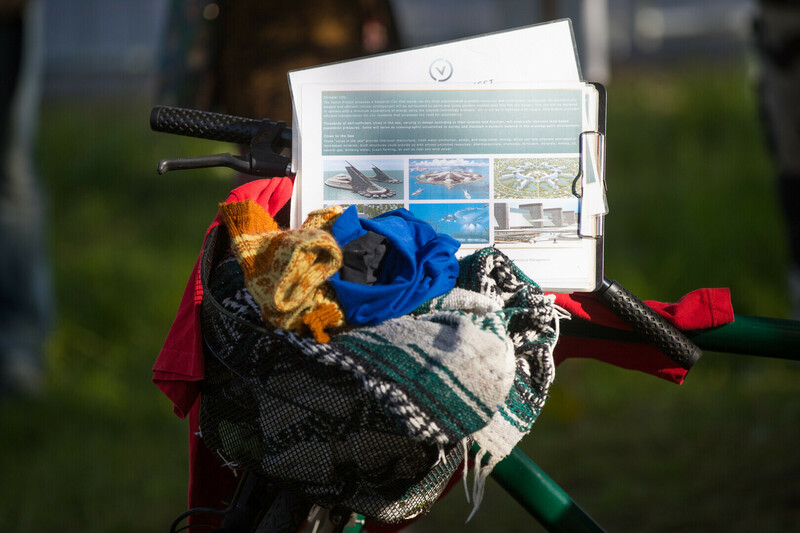 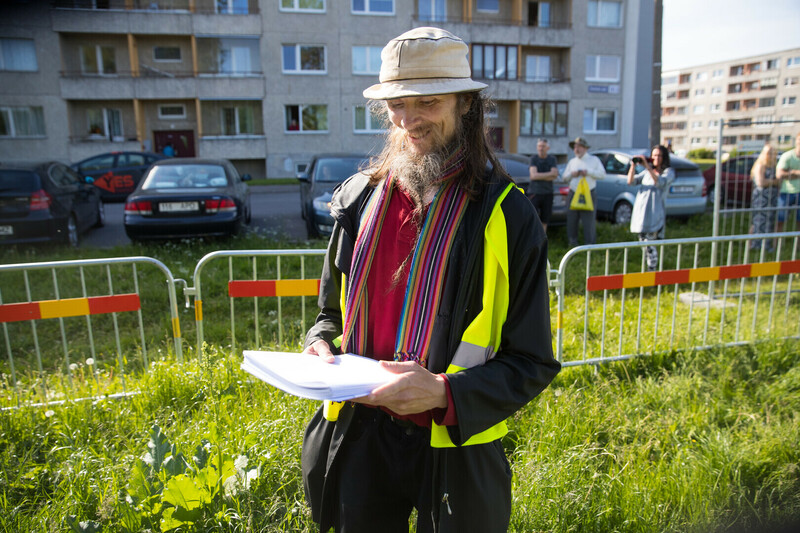 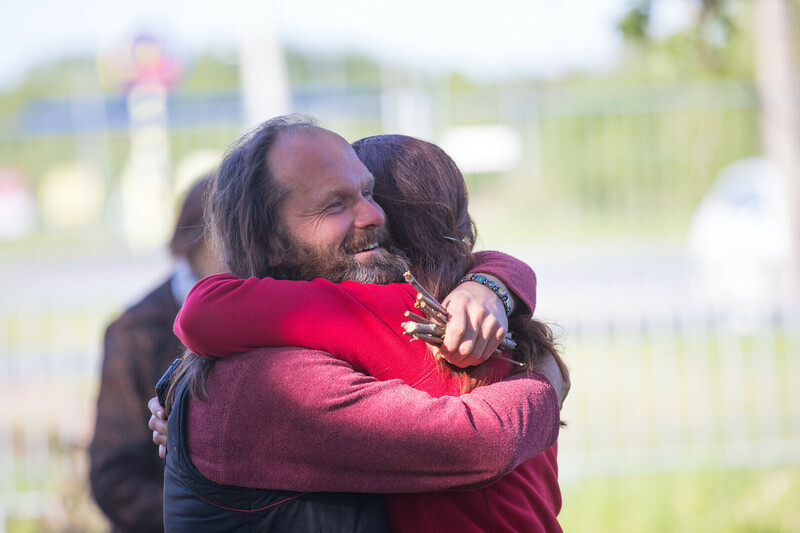 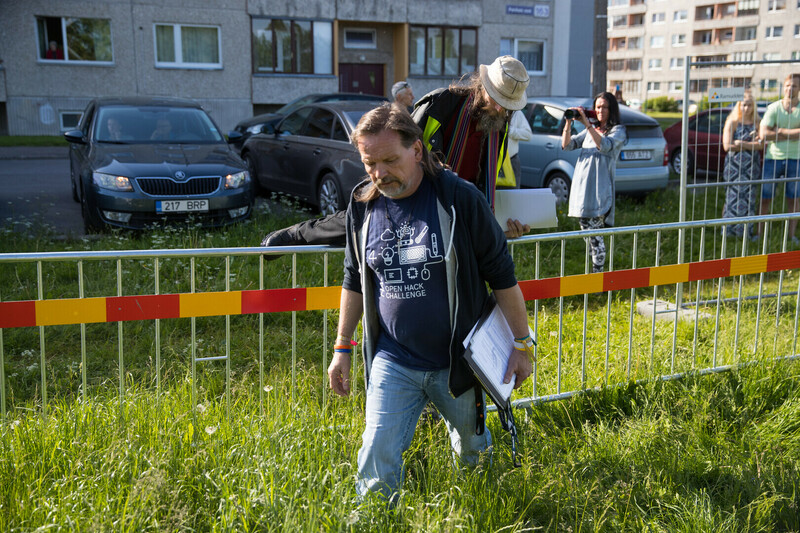 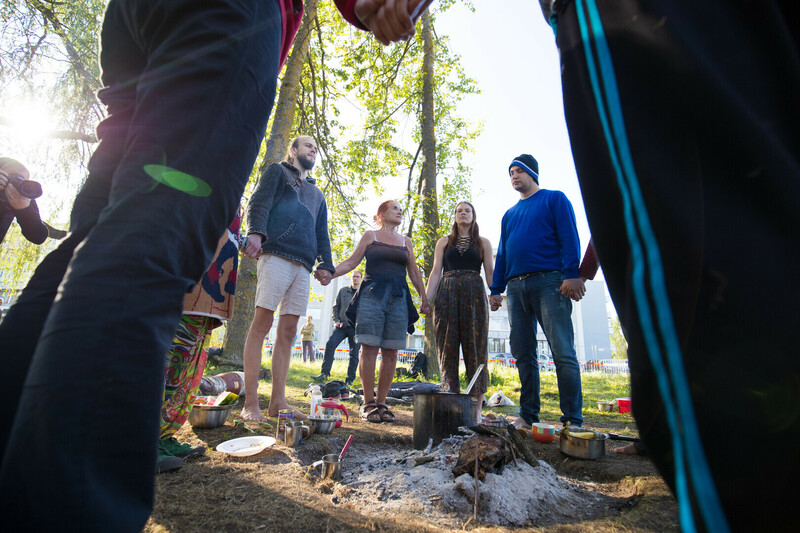 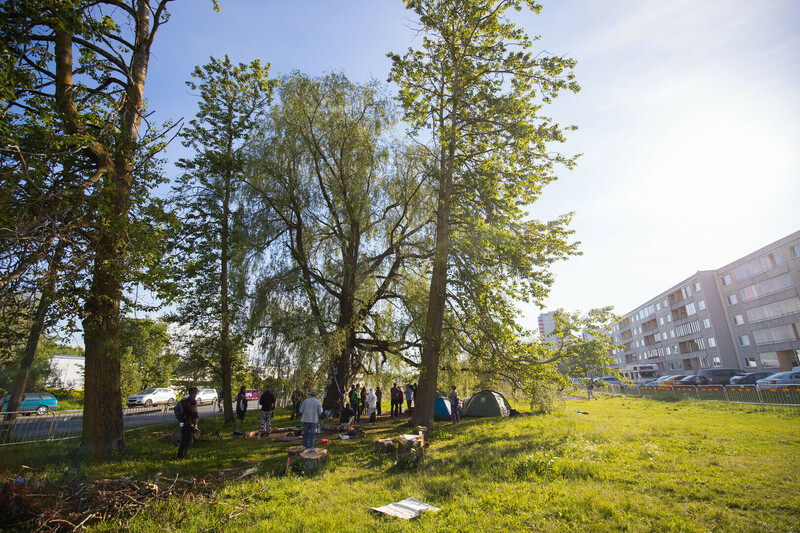 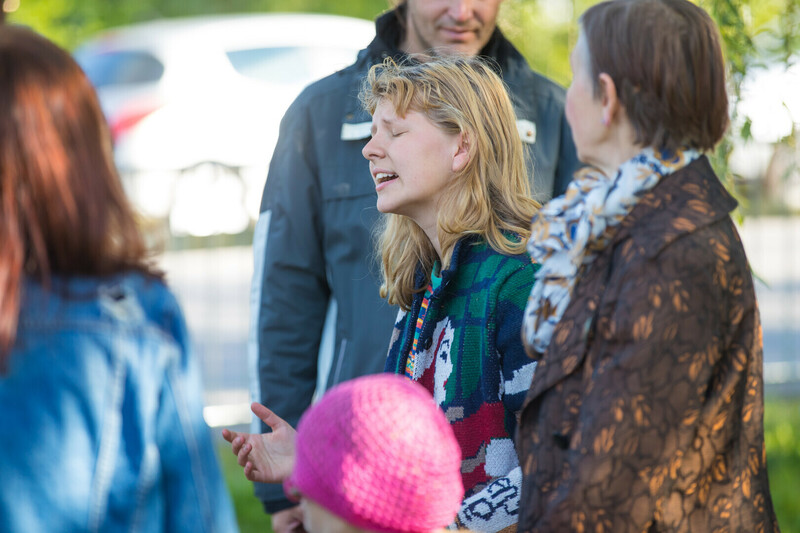 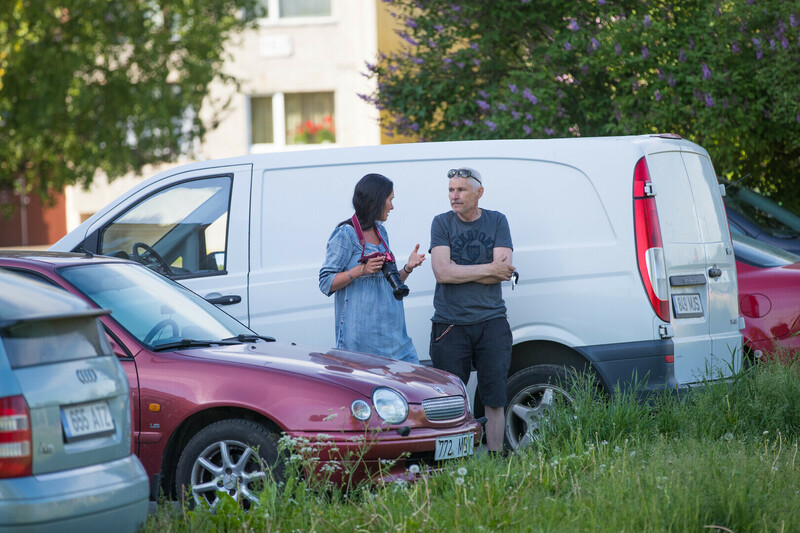 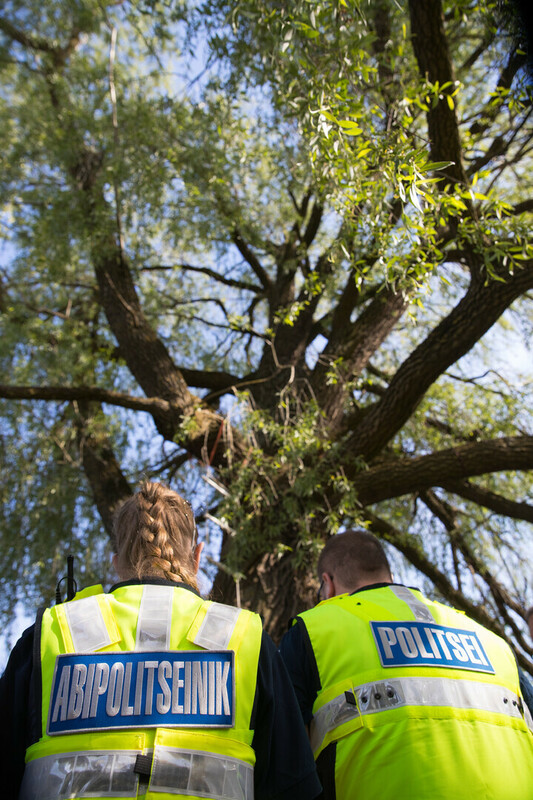 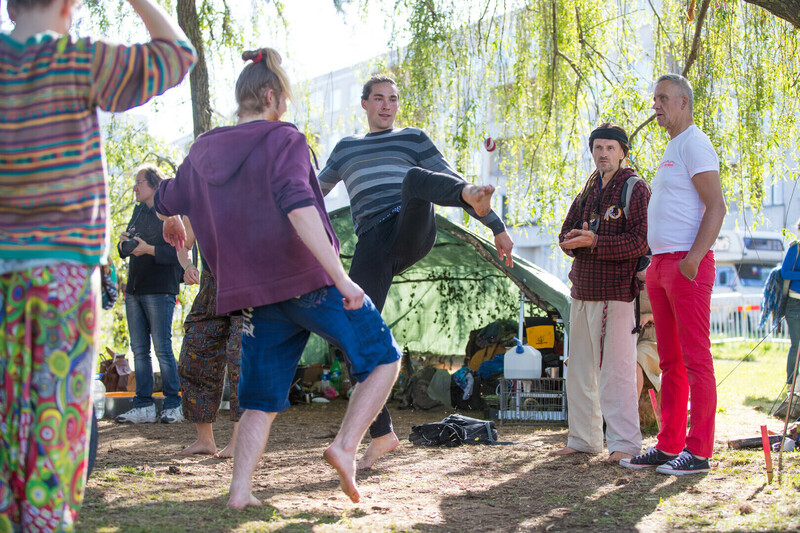 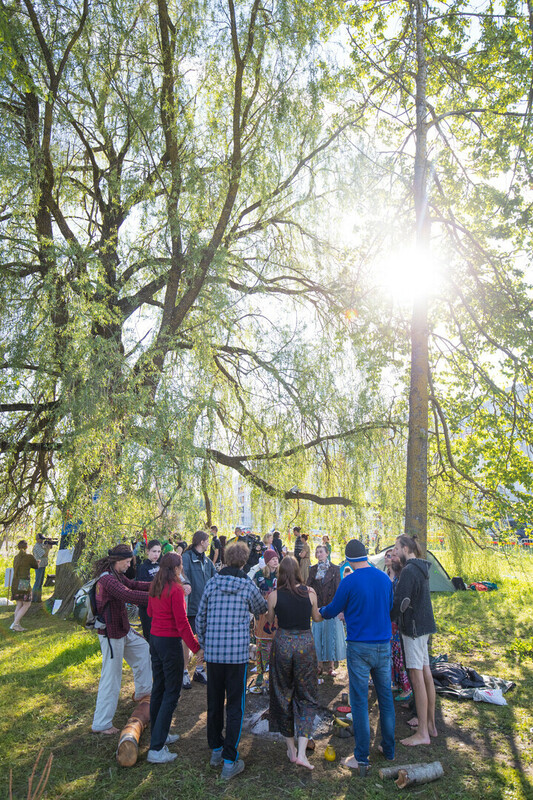 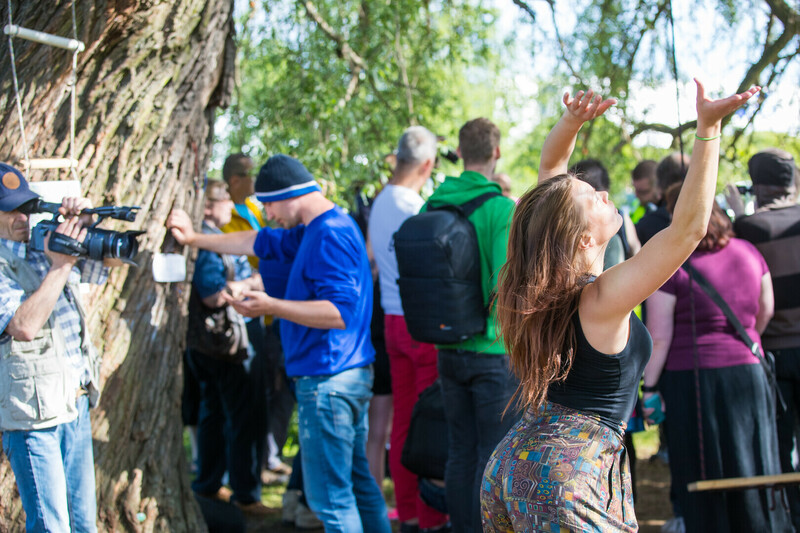 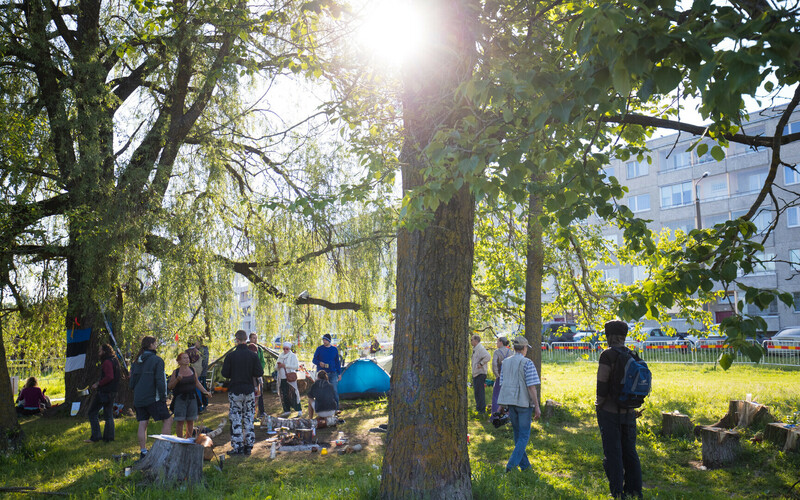 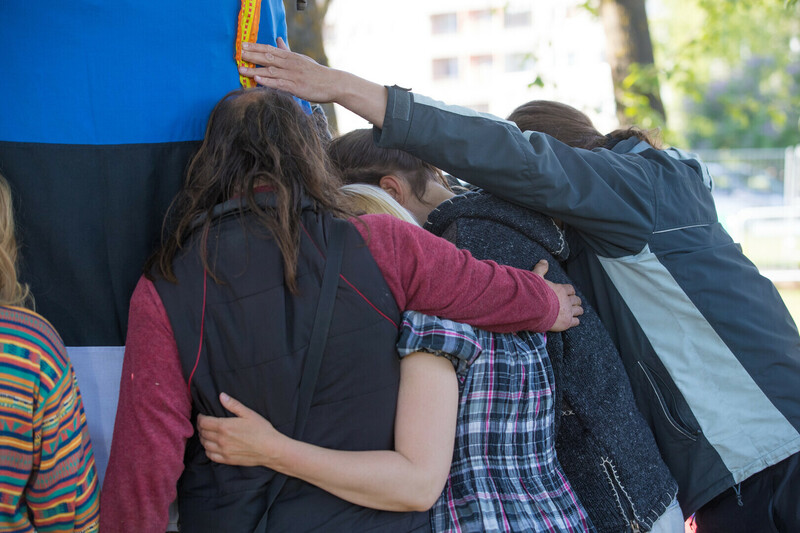 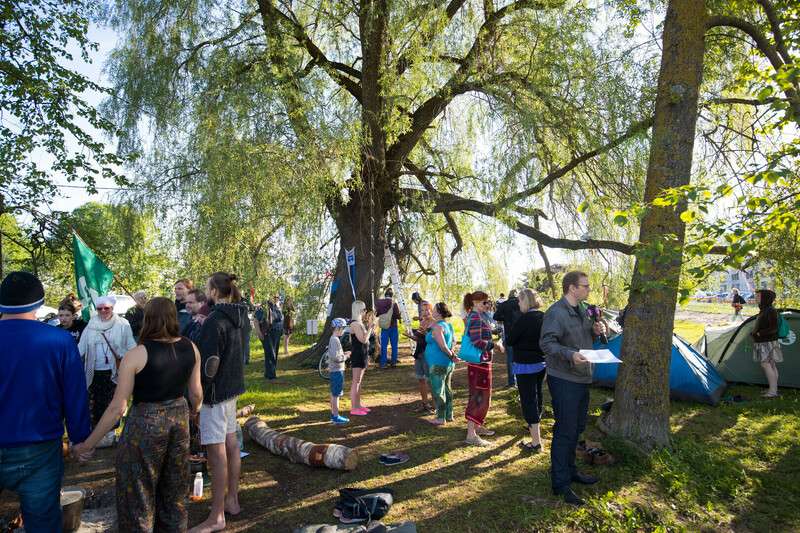 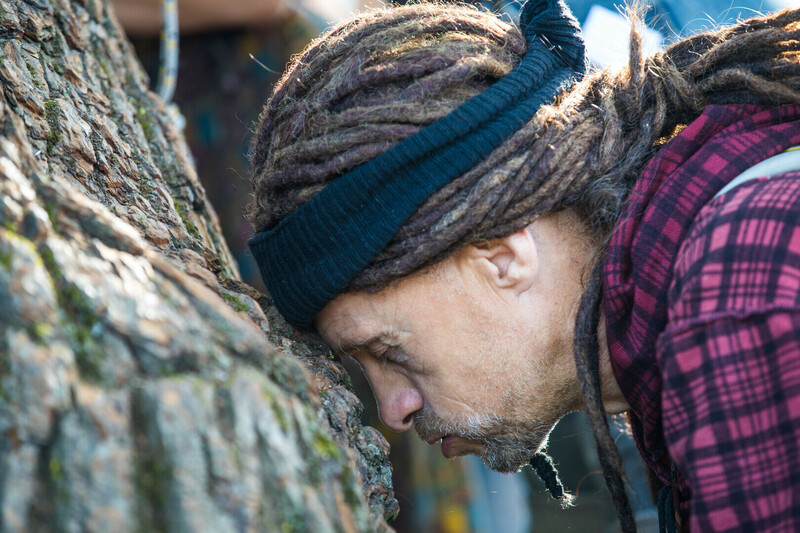 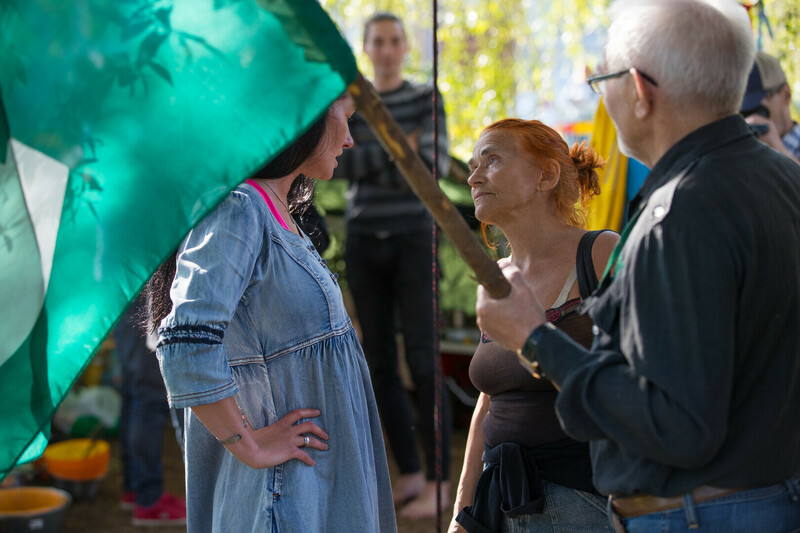 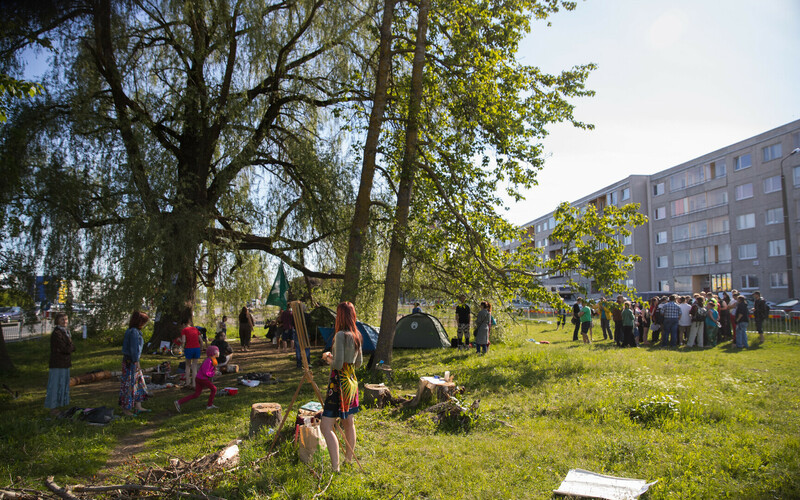 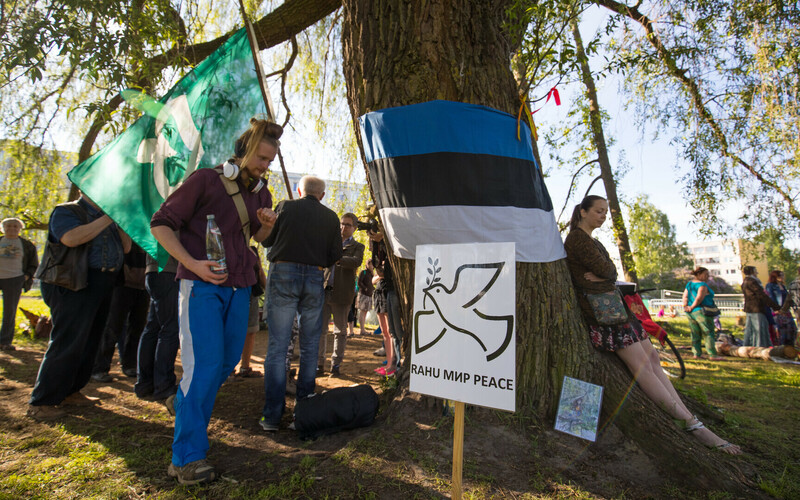 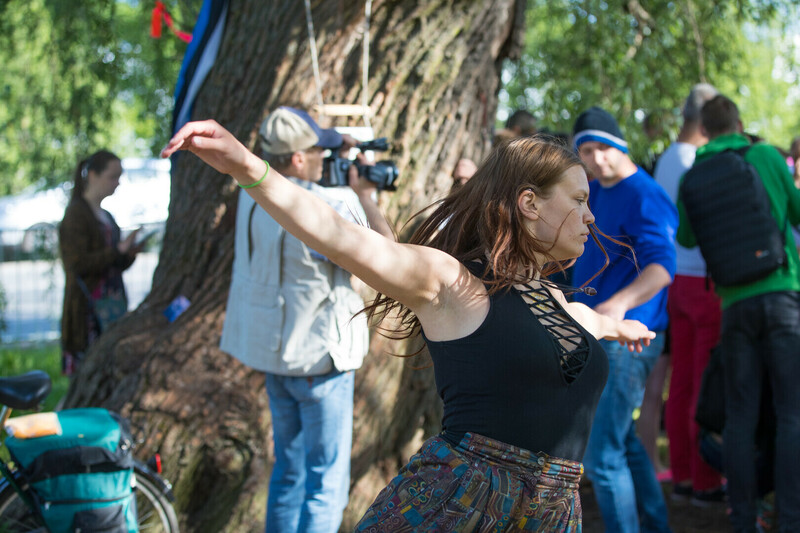 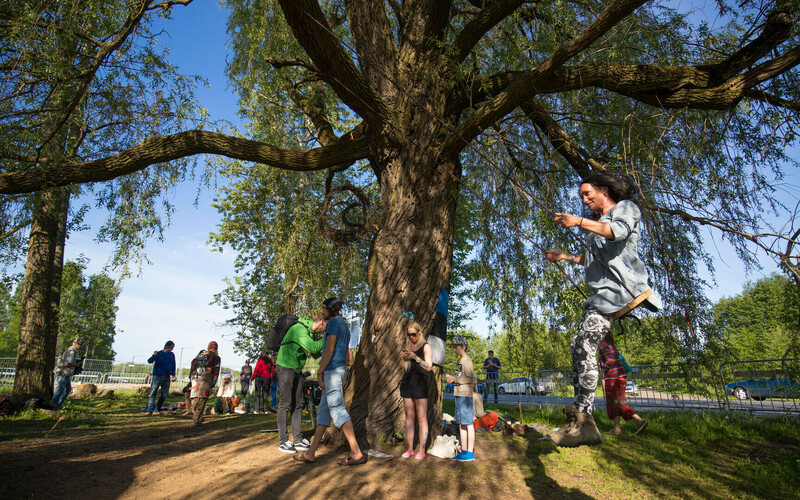 Five activists who disobeyed police orders during actions aimed at preventing the cutting-down of a white willow tree in the way of road construction in the Haabersti borough of Tallinn in June have received fines as punishment for their actions. 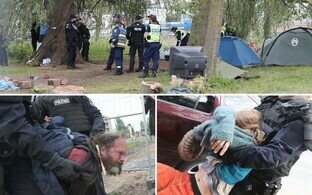 "The police opened proceedings with regard to seven individuals. 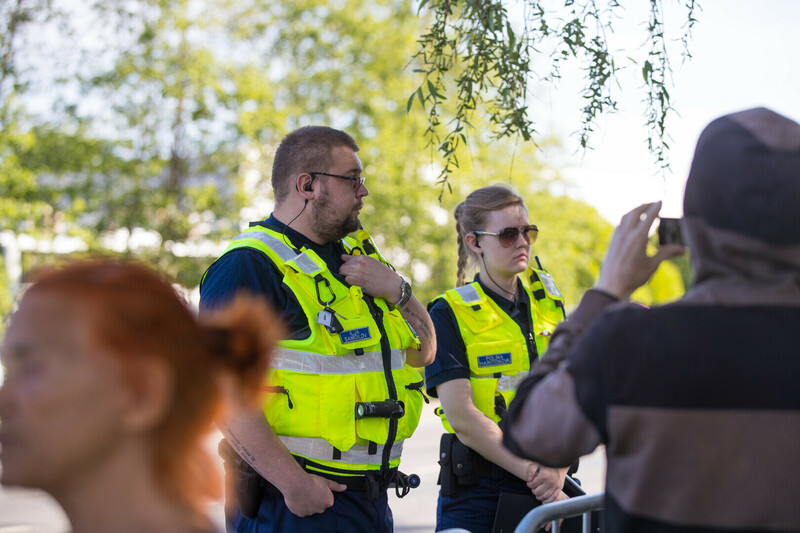 Two of the proceedings in which the individuals admitted their guilt were closed due to the lack of public interest," spokesman for the Police and Border Guard, Seiko Kuik, told BNS. 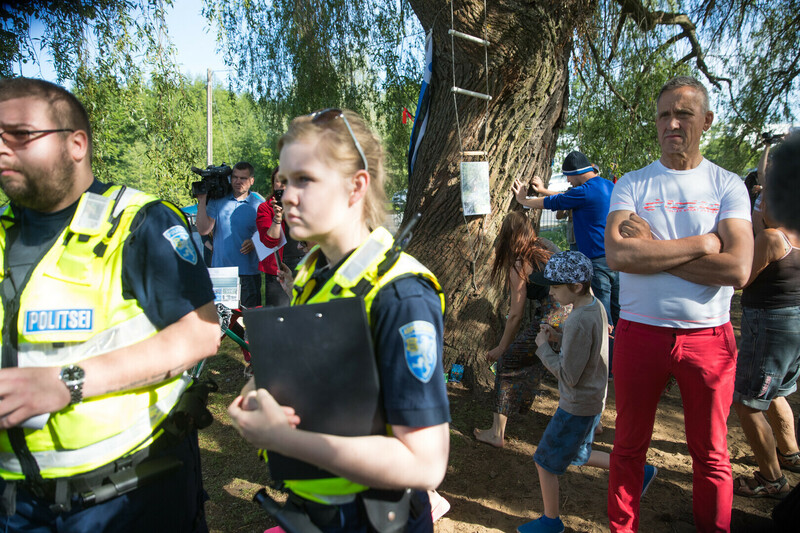 Five individuals were fined pursuant to the Penal Code, the size of the fines cannot be disclosed, he added. 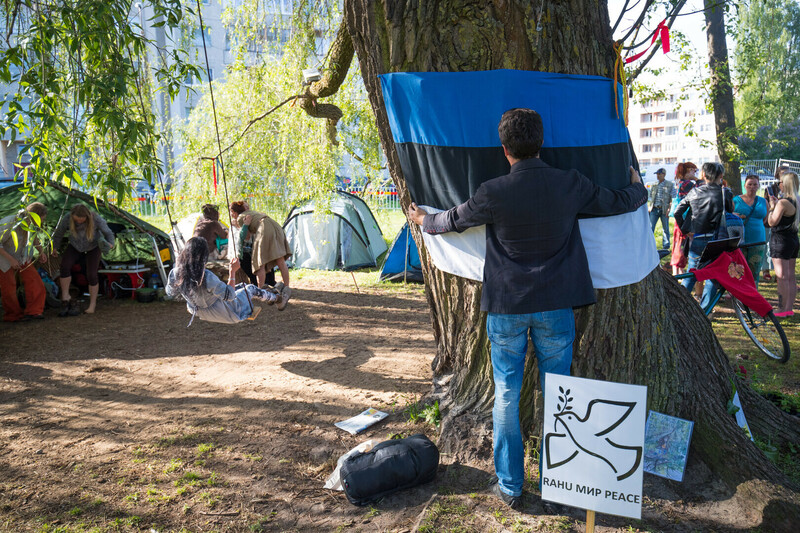 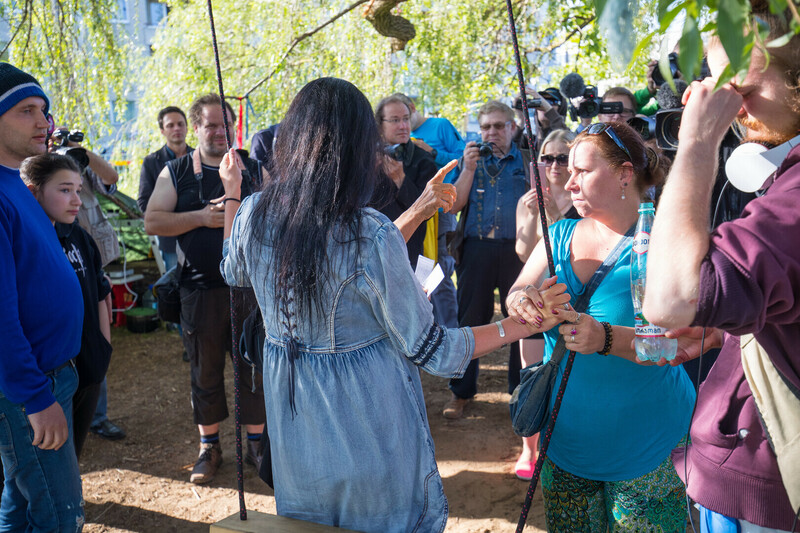 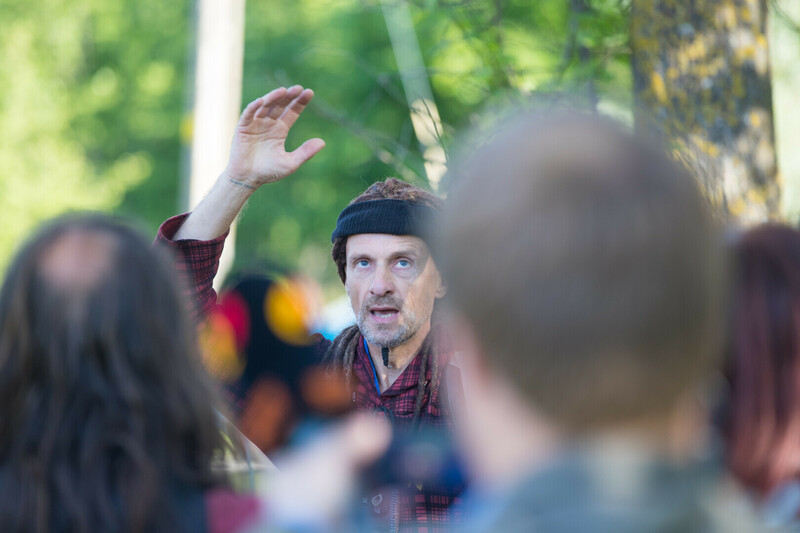 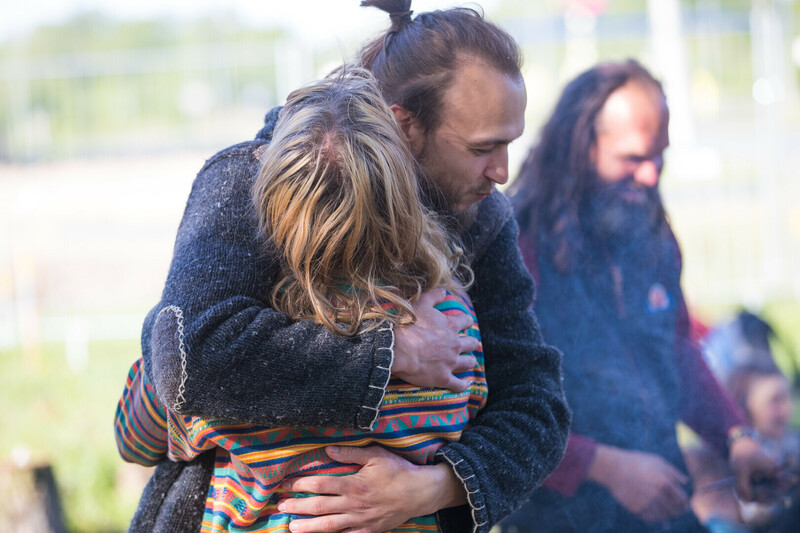 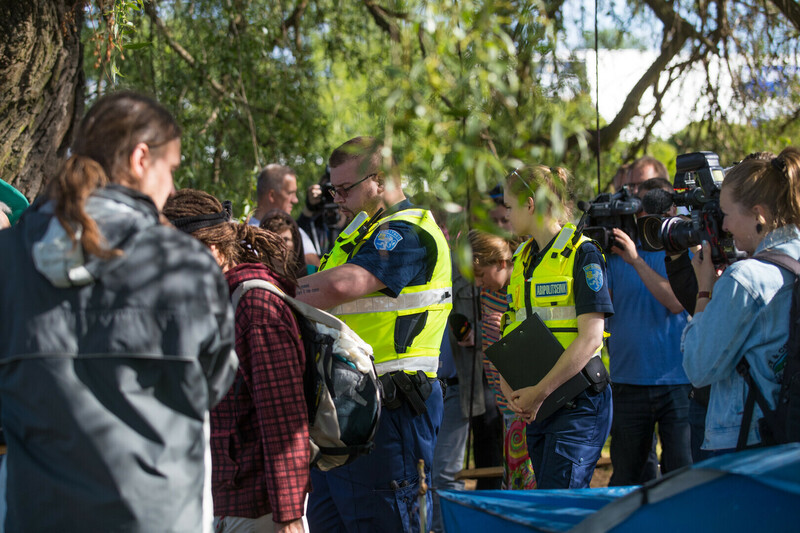 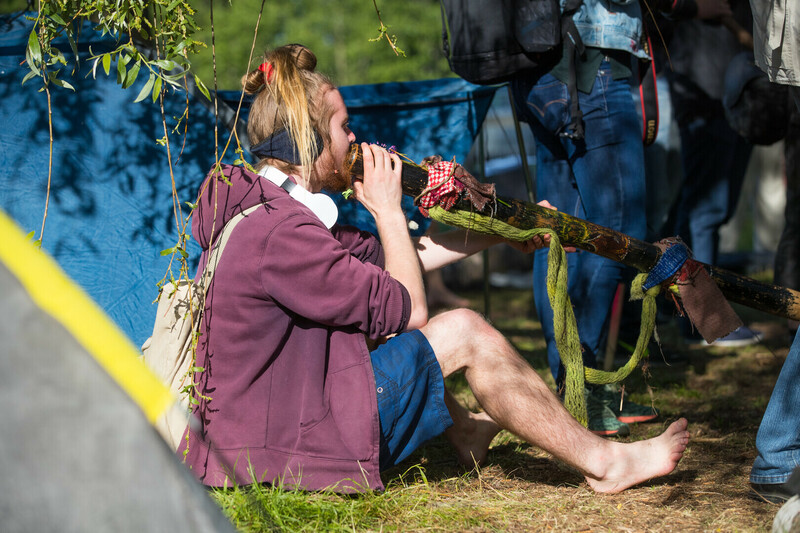 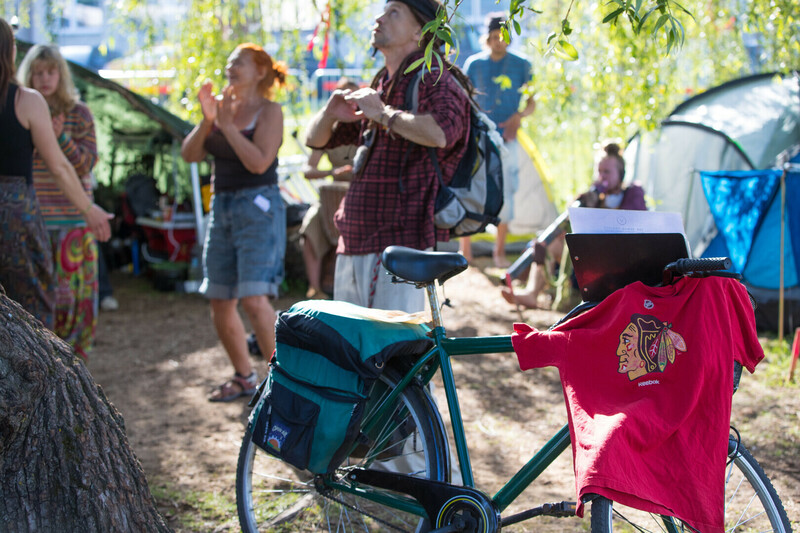 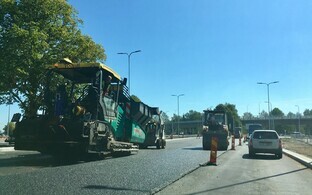 Police carried out a special operation on June 27 to disperse environmental activists who had illegally set up camp under a white willow tree in the way of the construction of the Haabersti road intersection. 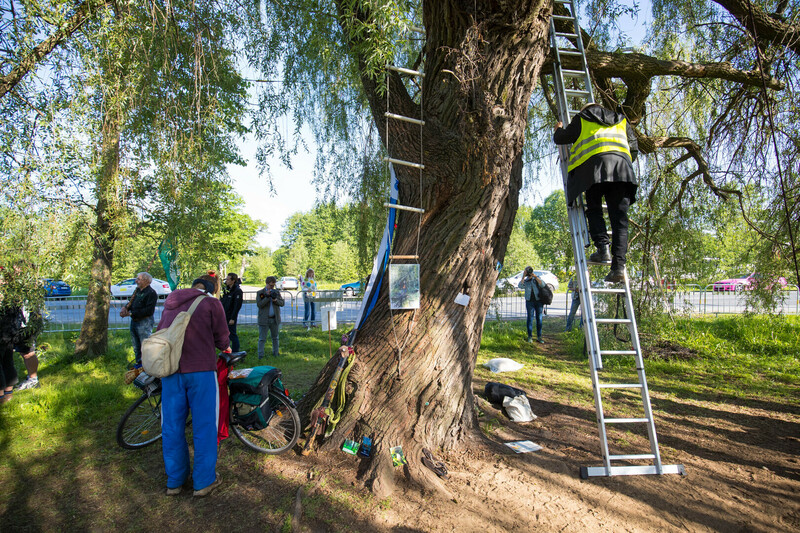 In the course of the operation activists who had entered the construction site after knocking down a fence, some of whom managed to climb the tree as the police arrived, were brought down from the tree and taken away from the site of the construction works using coercion or force. 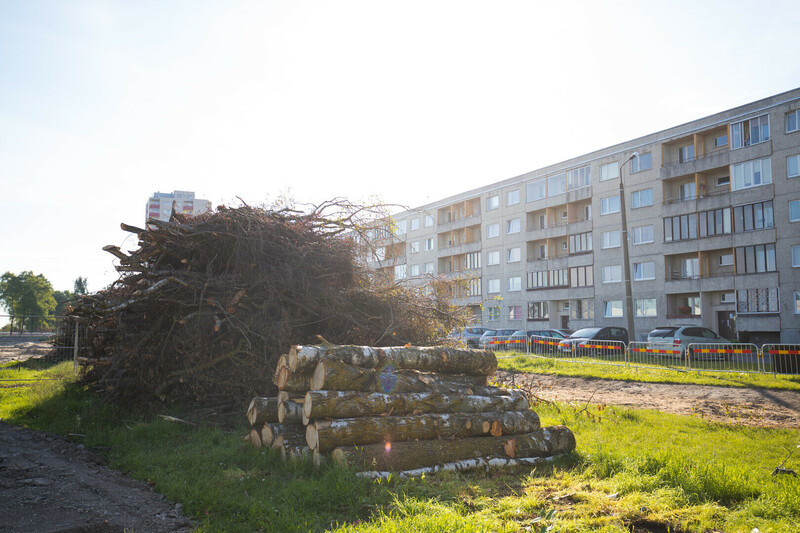 The willow was then cut down in accordance with the cutting permit. 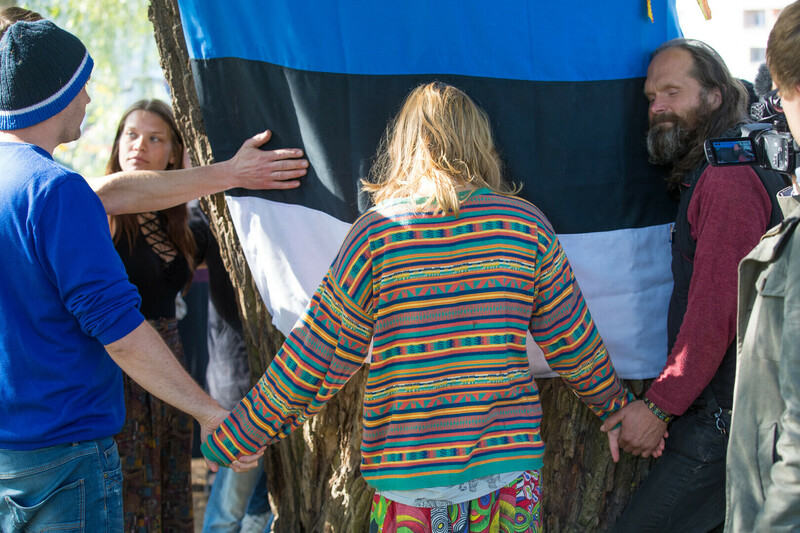 The incident got a lot of media attention, with activists referring to it as a "mother tree" and insisting it was hundreds of years old. 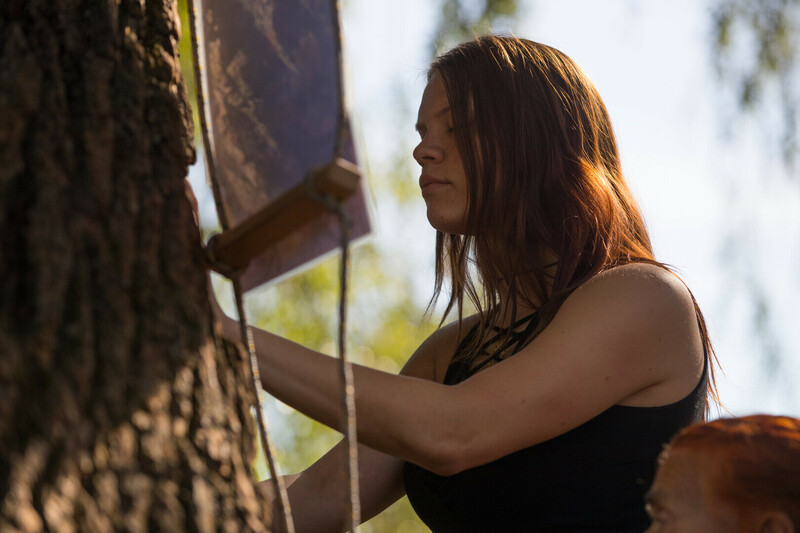 This was later declared a misconception when arborists pointed out that the life expectancy of such a tree is between 70 and 100 years. 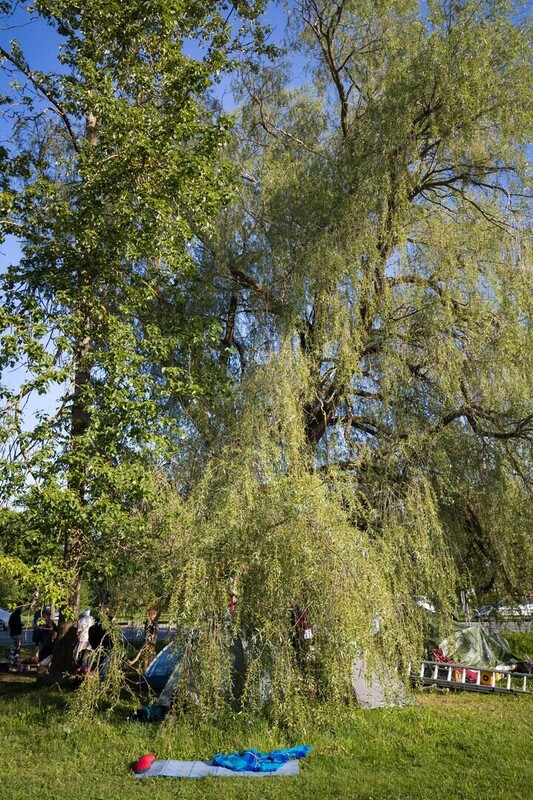 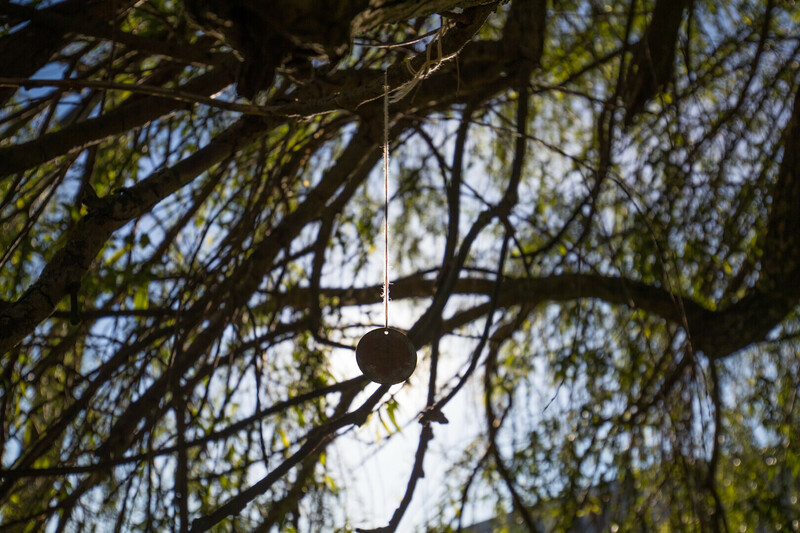 After the willow was cut down, it turned out that it was 72 years old and had most likely been planted when the area was prepared for residential construction in the first half of the last century.